LEONARDO BRITO (Saquarema, Brazil) began dancing at Projeto Primeiro Passo. 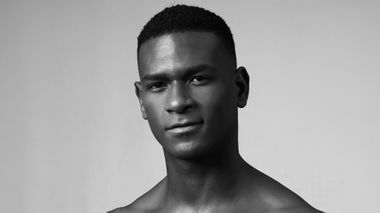 He also trained at Escola Estadual de Dança Maria Olenewa, Center of Art Nós da Dança, Federal University of Rio de Janeiro, and Miami City Ballet School’s summer intensive and as a scholarship student at The Ailey School. He is a 2016 prize winner of the III Premio Dança Moderna from the Brazilian Congress of Modern Dance. 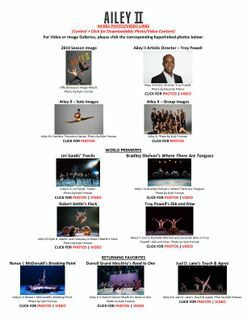 Mr. Brito has performed works by choreographers Robert Battle, Tracy Inman, Ray Mercer, and Jennifer Archibald. 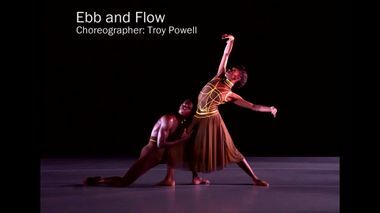 He also performed in the Ailey Spirit Gala at Lincoln Center and danced in Alvin Ailey's Memoria during Ailey's 2017 New York City Center season. 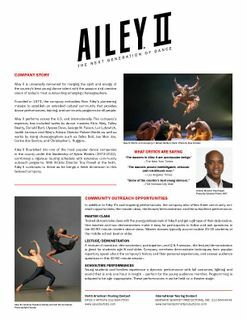 This is his first season with Ailey II.